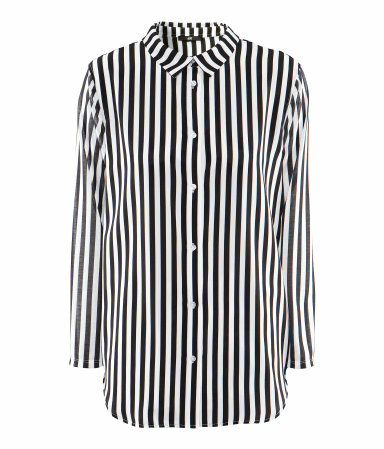 The other day I saw this shirt/blouse in H&M and fell in love. The picture doesn’t show how pretty the shirt really is. I loved it!! Unfortunately they didn’t have my size (and it was the last one!). I will keep trying to find it anyway, maybe in other stores. This entry was posted in Clothes, Wishlist and tagged clothes, h&m, wishlist. Bookmark the permalink.